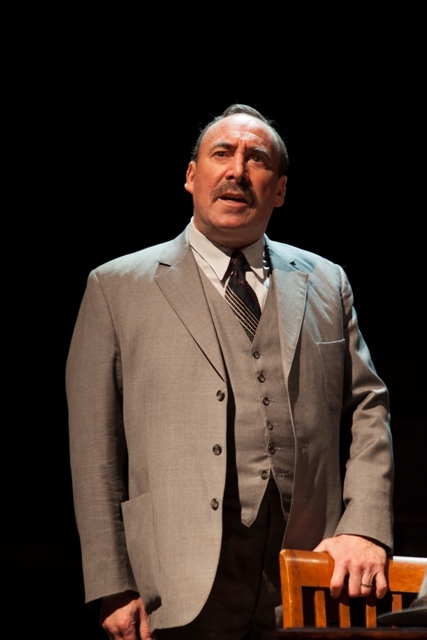 Death of a Salesman is a far cry from the endless all-American blockbuster tales. It's morose, morbid and so darn depressing that the woman sitting behind me could be heard loudly sobbing for the final section of this Royal Shakespeare Company (RSC) production. But what makes this terribly sad play so worth seeing is that it is a very honest portrayal of post-war lives in America. When all the stardust and phony dreams have been scrubbed away, Death of a Salesman provides a frank critique on the achievability of the American dream. The thought-provoking play earned writer Arthur Miller a Pulitzer prize and it's sure to gain the RSC further recognition for this fine, compelling adaptation under the stewardship of director Gregory Doran. Slowly building up tension, the audience is gradually eased into understanding the dynamics of the dysfunctional Loman family and their Brooklyn neighbours. Keep with it through a slow start as in a series of flashbacks and confrontations, you are rewarded with a heartfelt tale on how far misguided dreams can take you. 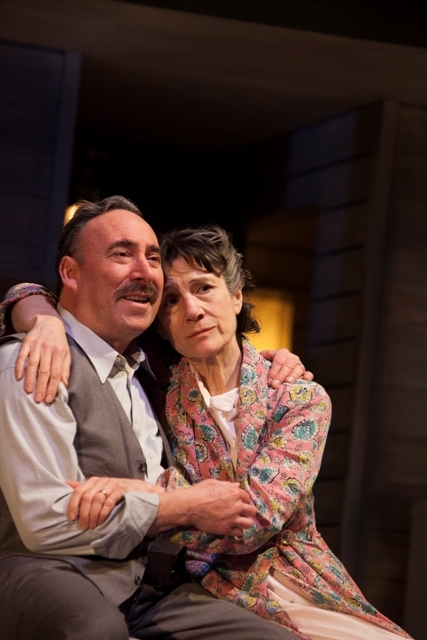 We join the family as Willy and long-suffering wife Linda (played by Harriet Walter) are just one payment away from finishing their mortgage when Willy's depression reaches crisis point. His meltdown is compounded by the return of his eldest son, Biff, who never lived up to dreams of becoming an American football player and has spent years going from one dead-end job to another. 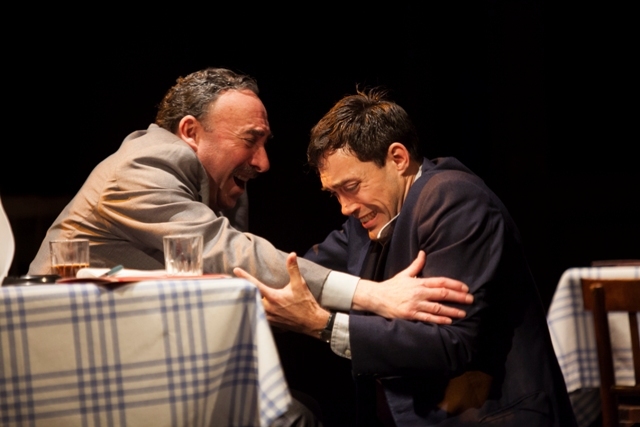 Actor Antony Sher is exceptional as travelling salesman Willy Loman, who has reached rock bottom after decades of hard work with no recognition and support from his company as he embarks on his older years. He plays Willy with such charm and hope that even when he is at his most misguided or angry, you can't help but feel sympathy for this anti-hero.What's more, Sher manages to swiftly move between a proud, optimistic father in flashbacks to the despondent, muttering troubled Willy of present times. The stage is set with a compact open two-storey house. Upstairs the sons worry about their father's strange behaviour while Willy and his wife struggle over the bills in the kitchen below. Occasionally, the action veers out of the domestic setting to recreate the past or wanderings in Willy's mind. These flashback scenes are so dripping with Americana that they could be from the page of a 1940s magazine. We see Biff, statuesque in gold, posing with an American football, while Willy's successful millionnaire brother appears like a Tennessee Williams' character in a white suit with southern drawl. The most emotionally raw scenes tend to involve Linda with her sons Biff and Happy as this is when you hear home truths on the extent of Willy's despair. There's also a heart-wrenching climax to the troubled relationship between Biff and Willy when actors Alex Hassell and Sher once again show how well they work together, following on from the rapport they showed in the recent Henry IV Parts I and II as Hal and Falstaff. The lines written by Miller, many of which have become part of every day language, have proved timeless. Those words about money, hope and disregard for your staff are as poignant now as in 1949. When Willy is begging for a job and shouts at his boss "you can't eat the orange and throw the peel away - a man is not a piece of fruit", you feel like those words are familiar friends. 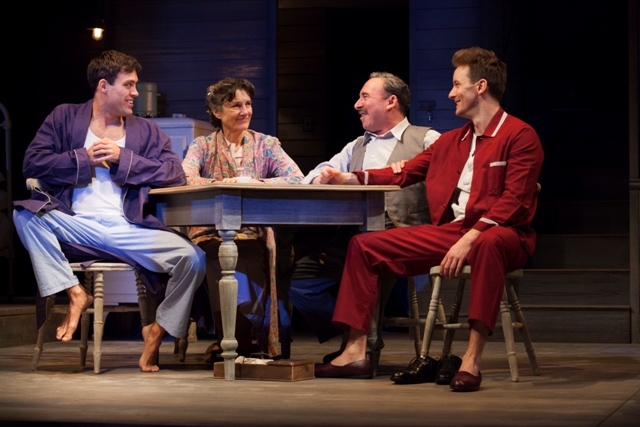 This new production of Death of a Salesman by the RSC is part of centenary celebrations for playwright Arthur Miller and while it may be a melancholy piece of theatre, it's also a play that still rings very true in current times. Noel Coward Theatre, London's West End. Tickets cost from £12.25 to £61.75 and are available from the RSC website or by calling 0844 800 1110. Where: Royal Shakespeare Theatre, Stratford upon Avon, and Noel Coward Theatre, London's West End.